to whom shall I pay homage? The Guru-Shishya relationship holds almost a spiritual place in Indian life. 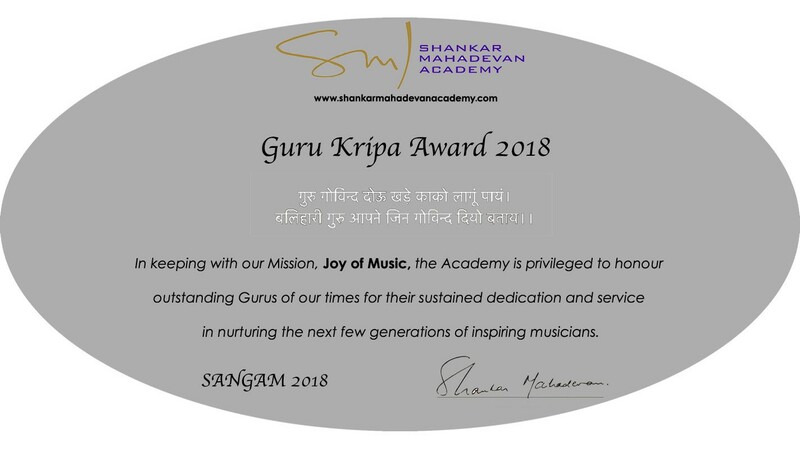 Gurukripa awards were established to recognise the immense contributions of Gurus or teachers who have strived over the years to create the next generation of talented musicians. 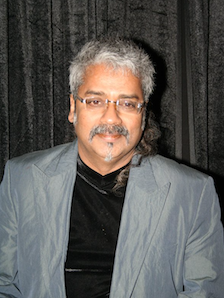 Padma Shri A.Hariharan is an Indian ghazal and playback singer who has sung for Malayalam, Tamil, Hindi, Kannada, Marathi, Bhojpuri and Telugu films, and is one of the pioneers of Indian fusion music. He is a two-time National Award winner and in 2004 was conferred with the Padma Shri by the Government of India . The son of renowned Carnatic vocalists Shrimati Alamelu and Shri H.A.S. Mani, he inherited his parents' musical talents. Hariharan, associating with Lesle Lewis, formed Colonial Cousins, a two-member band. He has sung more than 500 Tamil songs and nearly 200 Hindi songs. Vidushi Alamelu Mani a renowned star in the constellation of Carnatic vocalists, and among the most prominent Carnatic music teachers in Bombay. Having had the privilege of learning from the legendary T. Brinda and Thanjavur V. Sankara Iyer, she has an amazing repertoire of songs which she shares with scores of her students. She was initiated into the Carnatic realm by her husband H.A.S. Mani, who was the first Principal of the Music School, run by the Shanmukhananda Sabha, in Bombay. 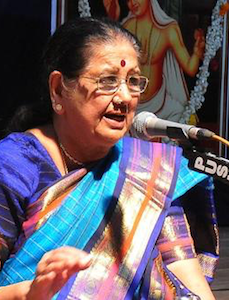 She has been an A Grade artist of All India Radio, Mumbai, since 1968. 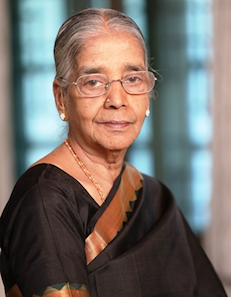 She is a distinguished Carnatic Music Teacher and she has been the Principal for more than five decades at the South Indian School of Music (Mumbai). She was also the first guru to her son Hariharan, a versatile playback and ghazal singer who has been honoured with the Padma Shri by the Government of India. She has trained many students at her school and her contribution in keeping Carnatic Music alive in Mumbai region is admirable. Vidwan T. A. S. Mani started his career at a tender age of ten. As a performer of South Indian Percussion instrument - Mridangam, he is a preferred accompanist for many leading vocal and instrumental musicians in the South. Rated as an “A top” artist by the All India Radio, he has given many performances in AIR and Doordarshan apart from performing in many other private TV channels. 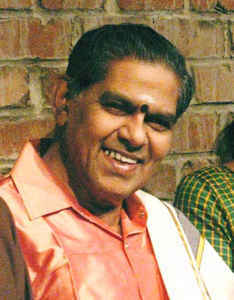 Mani is a living legend in the field of teaching South Indian Percussion music. He started his teaching career five decades back and has trained an unparalleled number of students. Mani’s lessons are simple to understand, structured to provide a gradual learning process and rich in musical quality. Dr. R.B. Sontakke, one of the foremost practitioners of the Gwalior Gharana, was a double doctorate in Vocal and Violin. He was a veritable encyclopaedia on the Hindustani Ragadari system of music (encompassing its science and history) and an equally adept performer. He was the leading disciple of Sangeet Martand Pt. Omkarnath Thakur and one of the founding pillars of the Music College of Benaras Hindu University (BHU). An expert in Hindustani classical vocal music and a gifted violin artiste, he was an educator at the BHU for well over 40 years. He later established the Hindustani Sangeet Vidyapeeth in Bangalore and coached hundreds of students under his guidance. Vidushi R. A. Rama Mani is an outstanding vocalist, a much sought after performing artist, a demanding teacher and a brilliant composer. Blessed with a rich and mellifluous voice, she sings with spontaneity and mastery over rhythm and melody. She specialises in vocal improvisations, complex rhythmic patterns and in Konnakol - the traditional percussion language. She is a rare artist who has achieved the distinction of presenting a composition simultaneously set to two different rhythmic cycles. 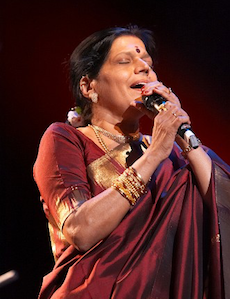 She is the first Carnatic vocalist to have performed with national and international jazz bands. Along with T.A.S Mani, she is the co-founder of Karnataka College of Percussion. Dr. Mani Sontakke was a versatile musician, vocalist and a multi-instrumentalist who held Master’s degree in 5 and a Bachelor’s degree in 12 instruments. A disciple of Pt Lalmani Mishra, she was at ease playing any instrument. She educated several students through the CHGS at Benaras and later in 1989 she established Hindustani Sangeet Vidyapeeth with her husband Dr. R.B. Sontakke, to propagate their mission of encouraging people to pursue music as a profession. She is credited with the very successful Hindustani Classical Orchestra of Benaras. The salient feature of this Orchestra was the usage of the rare instruments like Dilruba, Tar Shehnai, Bulbul Tarang, Jalatarang, Kashta Tarang, Lauh Tarang, Hawaiian Guitar, and Jhanjh. Padma Shri Aruna Sairam a renowned music ambassador of India, is one of the great classical music voices of India. After her initial learning from her mother, Rajalakshmi Sethuraman, Ms. Sairam, at the age of ten, became a disciple of the legendary T. Brinda. Ms. Sairam’s repertoire covers ranging from classical to semi-classical to folk spanning 14 different languages. She was the first to introduce the Abhang, a folk music form, into a traditional Southern Indian Carnatic concert. Ms Sairam has been decorated with the Padma Shri, the Sangeet Natak Akademi Award, the ‘Kalaimamani’ and the ‘US Proclamation of Excellence’. 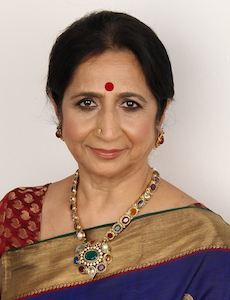 In June 2015, Aruna was appointed Vice Chairperson of the prestigious Sangeet Natak Akademi. Vidushi Lalith J. Rao is a doyenne of the illustrious Agra-Atrauli Gharana, having received intensive training under the Gharana stalwarts Padma Bhushan Ustad Khadim Hussain Khan and Pandit Ramarao Naik. 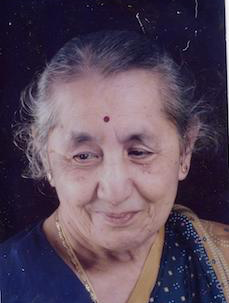 She has been honoured with the Bangalore Gayana Samaj Life-time Achievement Award, Puttaraj Gawai Samman of Gadag, Karnataka Kalashree Gaurava Prashasthi, BKF-Mallikarjun Mansur Award, Nishagandhi award for Life-time Achievement in Classical Music from the Government of Kerala, Tana Riri award from the Gujarat State Sangeet Natak Akademi, Swaratapasvi by Swara Sankula, Mysore. She was conferred the title Ganakala Tapaswini by Srimad Vadiraja Aradhana Trust for life-time achievement in Hindustani Classical Music. 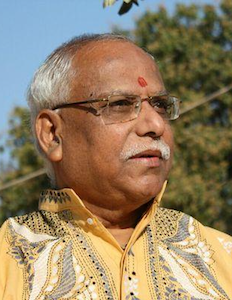 Pandit Vinayak Malharrao Torvi is a Hindustani Vocalist of Gwalior and Kirana Gharana. He developed interest in music at an early age by listening to his father Malharrao Torvi, a Harikatha exponent. He has trained under Gayanacharya Gururao Deshpande, and later from Bharat Ratna Pandit Bhimsen Joshi. 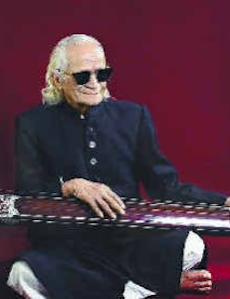 Pandit Torvi is the recipient of many awards including Kirana Gharana award from Music Forum Mumbai, Chowdiah Memorial Award, Bangalore, Gyana Gandharva from KGF music association, Rajyotsav Award, Govt of Karnataka, Celebrity artiste of SRA, Kolkata and many more. 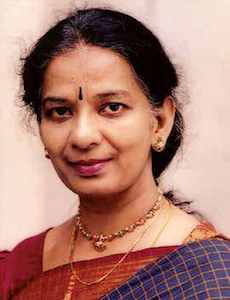 Sangeeta Kala Acharya Vidushi Neela Ramgopal is an accomplished Carnatic music vocalist and is regarded as the most sought after guru in Bengaluru. She started her formal music education under the legendary Sri N M Narayanan and then the illustrious Sri T K Rangachary. She has many accolades to her credit inlcuding Best performer award from Krishna Gaana Sabha and Madras Music Academy, title of "Sangeetha Kala Samragni" from the Rama Krishna Gaana Sabha Sangeeta, Sangeeta Chudamani from Rama Seva mandali; and Karnataka Kalashree, the coveted Sangeetha Kalaachrya from the Music Academy and he Sangeeth Natak Academy Puraskar. She has also published a book of 50 Tamil compositions in Kannada script. She also recorded audio CDs of krithis in all the 72 Melakartha Ragas. Vidushi Dr. T S Sathyavathi is a mutlifaceted Karnatic classical musician, composer, academician, musicologist and a performer and a scholar in Samskritha. Her mentors include Vid. Vasanthamadhavi and Padmabhushan R K Shrikantan for Carnatic Vocals, Vid. B V K Sastry for Musicology. 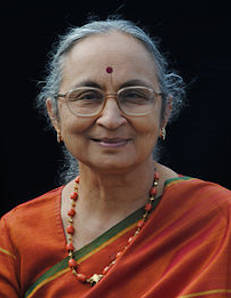 Dr. Sathyavathi has been awarded the Karnataka Kalashree, Asthana Vidhushi Avani Shankar Mutt, Bangalore, Jnana Samudra, Chennai, Natyaveda, Mallige Kannada Samgha, USA and Musicologist Award-2017, Madras Music Academy to name a few. She holds a Ph. D from the Dept. of Sanskrit, Bangalore University on the Contribution of Abilashithartha Chintamani to Indian music.